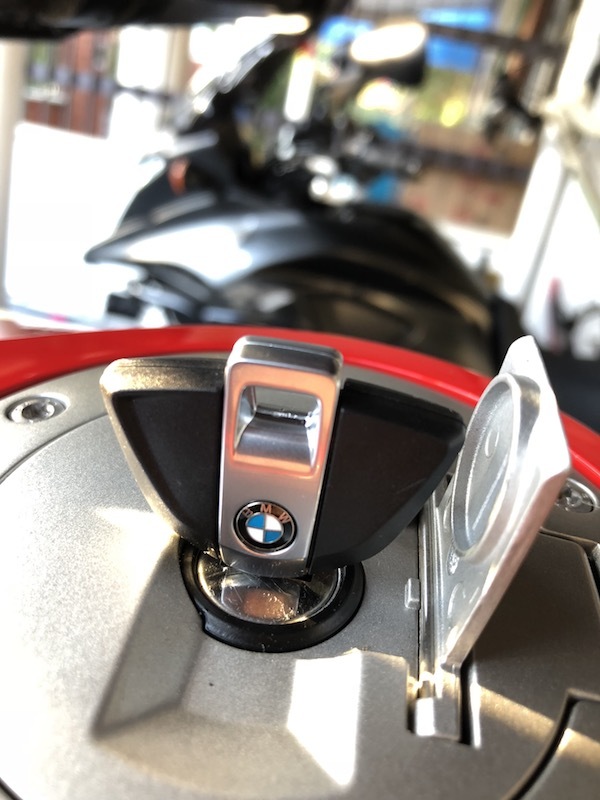 Keeping your motorcycle safe while touring in a foreign land is important. The bike is, after all, not only your primary trip companion, but could be your only transport home too. 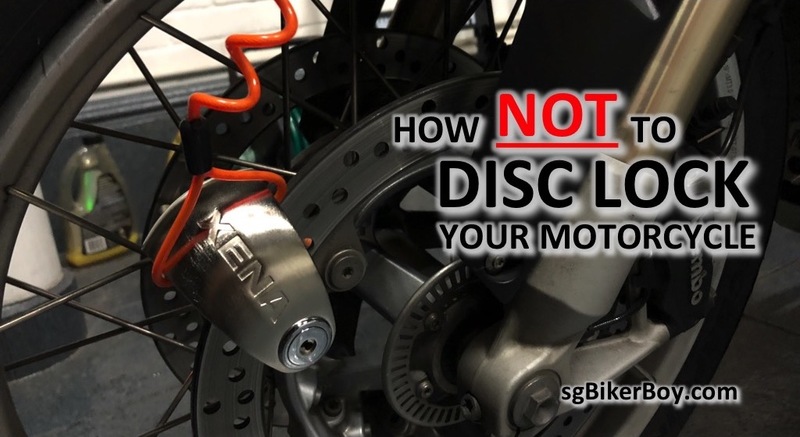 A simple disc lock may be enough to deter the casual thief from stealing the bike – although it won’t stop the really determined ones from lifting it onto the back of a truck. But, is there a “wrong” way of doing it? 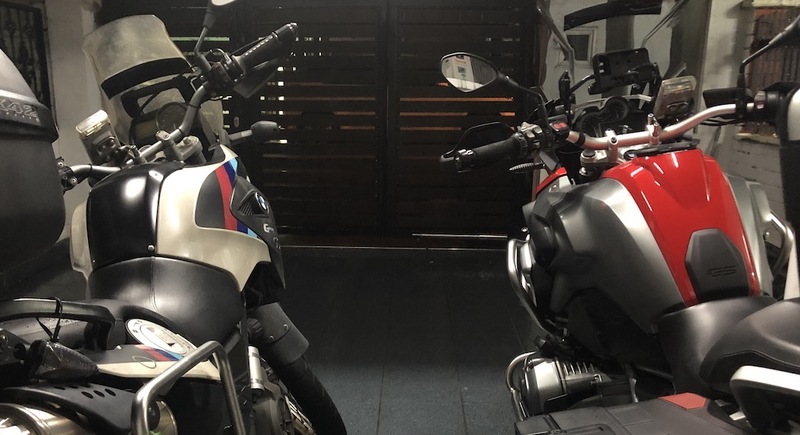 In my recent 1000 Corner Malaysia ride, a fellow riding buddy had a brilliant idea he picked up from a YouTube video. 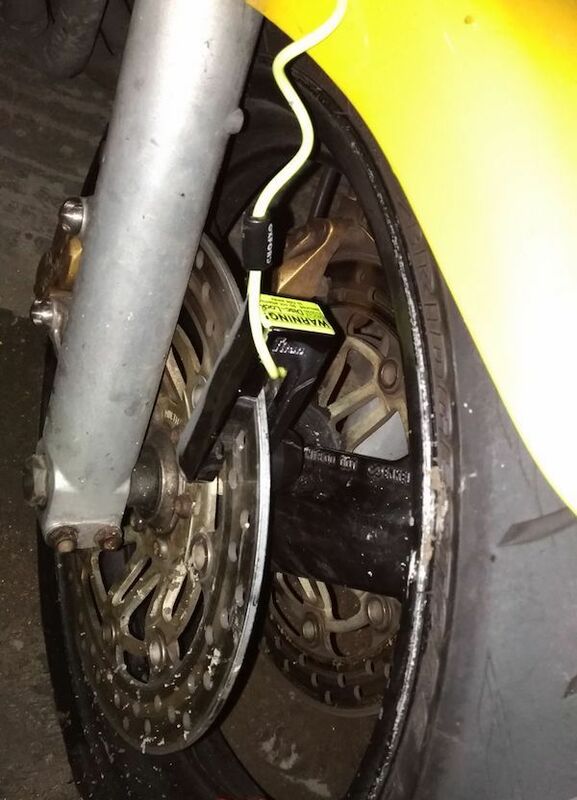 To make it really difficult for the bad guys to brute force crack the disc lock by drilling it, lock it such that the keyhole opening is facing the INSIDE of the brake disc instead of the usual OUTSIDE. Secured with disc lock and keyhole facing the INSIDE of the brake disc. Ooh… reminder cable too! 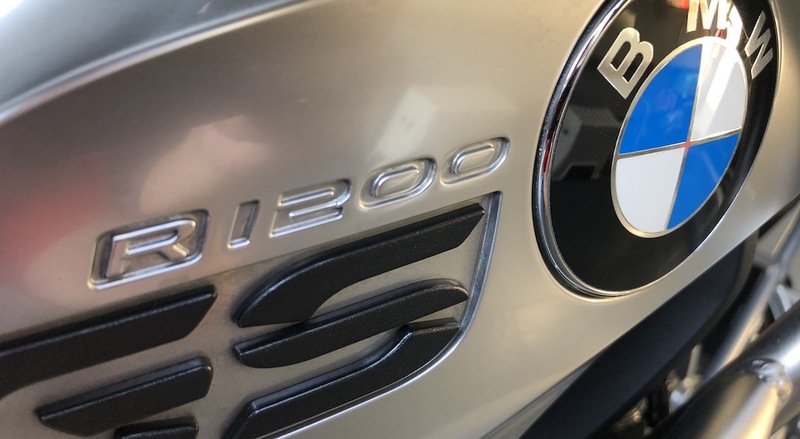 Author sgBikerBoyPosted on 10 March, 2018 11 March, 2018 Categories BMW R1200GS, New ExperiencesTags adventure, BMW, boxer engine, R1200GS10 Comments on Welcome to my stable, my new stallion! Today is the day! My Traffic Police motorcycle Class 2 license test is today! Yup! This is it! 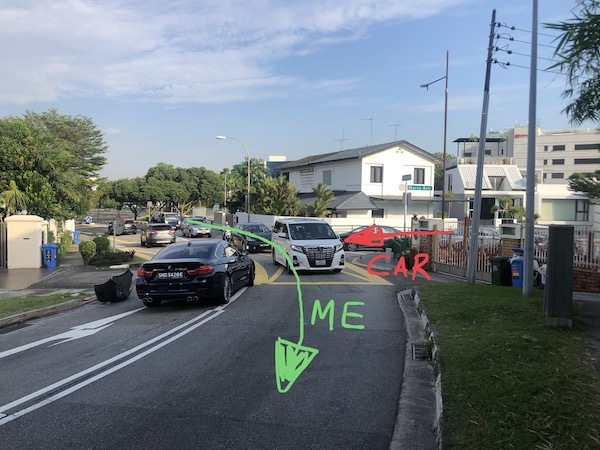 The pinnacle of motorcycle licensing in Singapore. 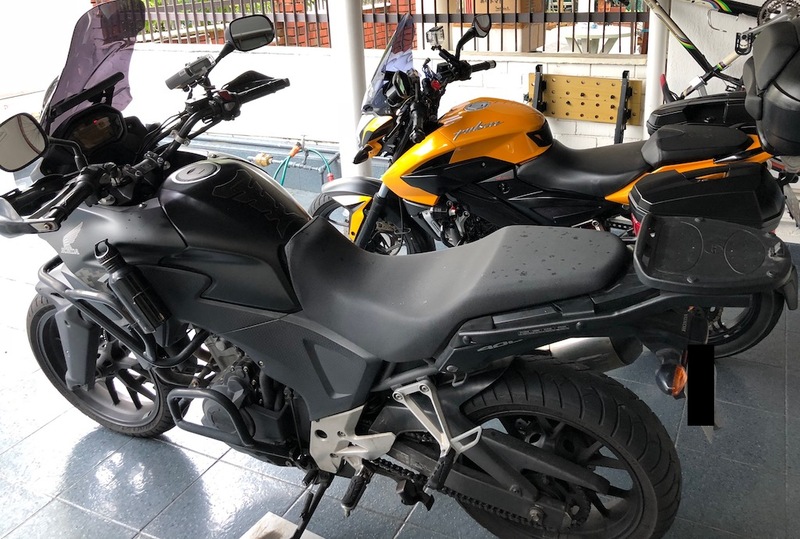 For those who don’t already know, there are three tiers of motorcycle licensing in Singapore. You start off with Class 2B which limits you to a bike below 200cc displacement. You wait a year later to take the Class 2A test – 200cc to 400cc. 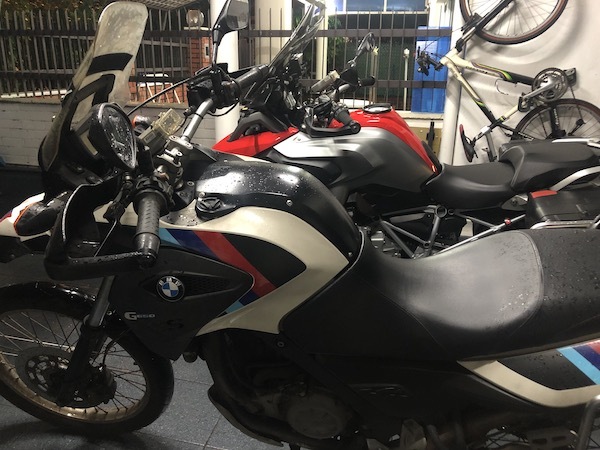 And yet another year later before one is qualified to do the Class 2 test – 400cc and above – essentially, an unrestricted license. 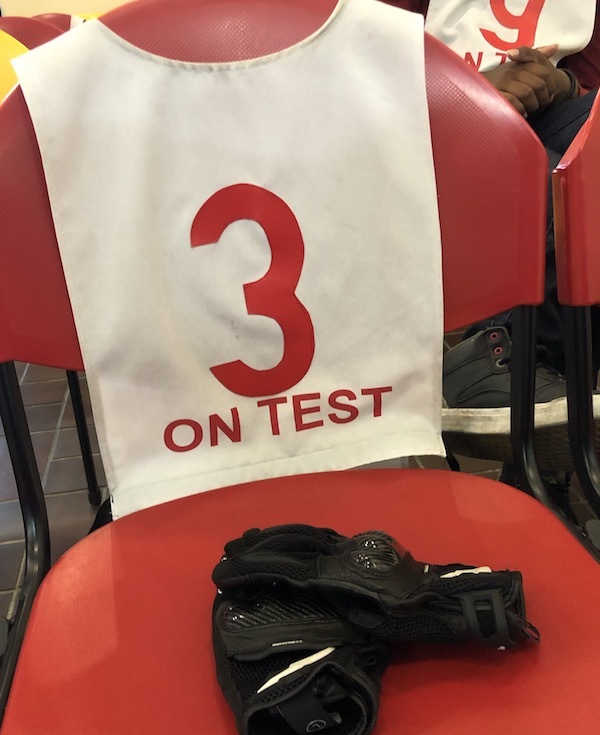 Rider on test – I am Number 3! I’ve been holding out my purchase for a larger bike since I’ve gotten my Class 2A (201cc to 400cc) license in January this year. Well, the initial plan was to wait it out for my Class 2 (>400cc) license before I made the jump up. 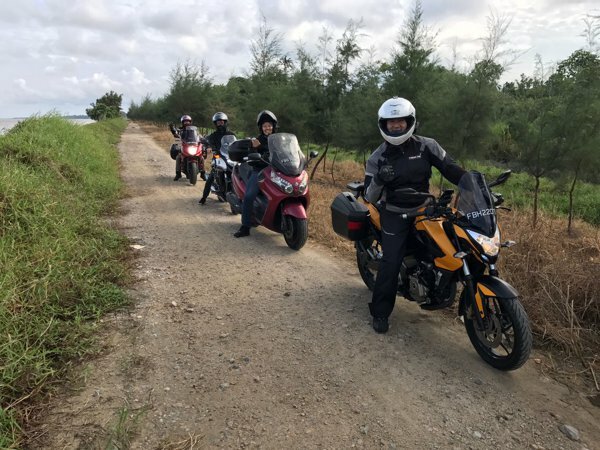 However, an impending trip to Thailand with a group of riding friends reignited my itch for a larger capacity touring motorcycle. 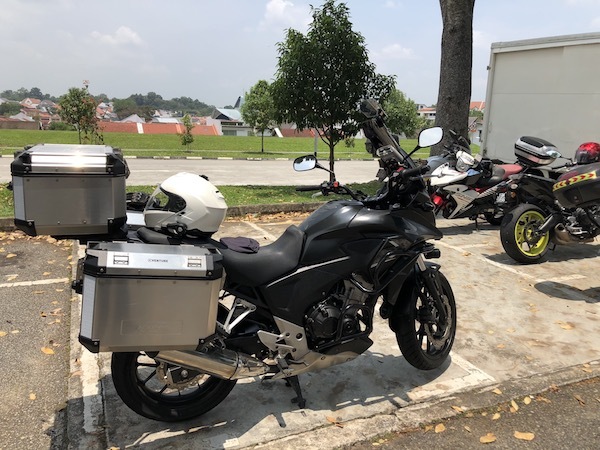 While I’m pretty happy with the Pulsar, it sometimes just struggles to keep up on the excellent Malaysian North-South highway (NSHW) for longer journeys. So that led me to scouting the local online ads for something larger. …and I ended up with this! 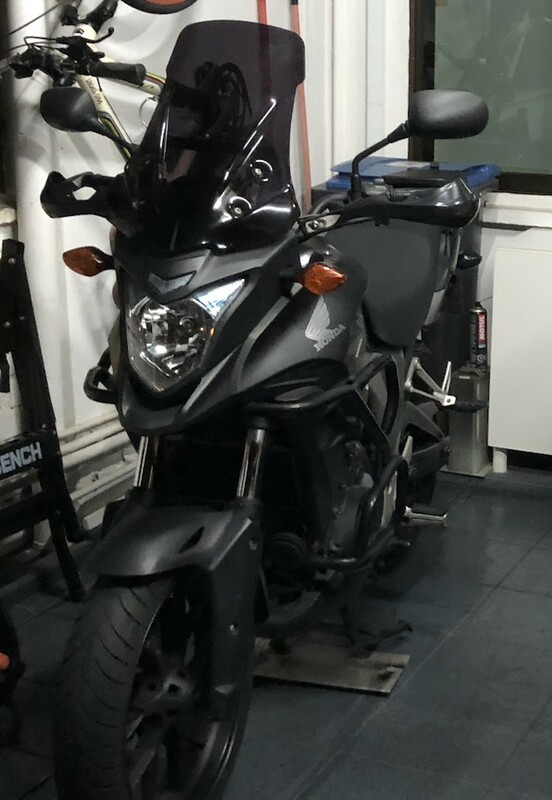 A 2014 Honda CB400X ABS at a really good price. 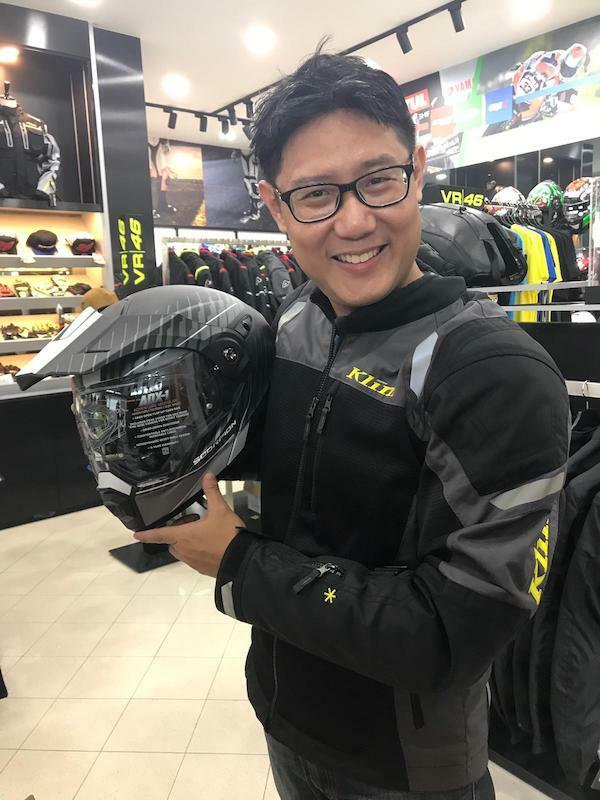 Author sgBikerBoyPosted on 16 October, 2017 19 October, 2017 Categories Honda CB400X, New ExperiencesTags adventure, CB400X, Honda, touring7 Comments on Hello Honda!